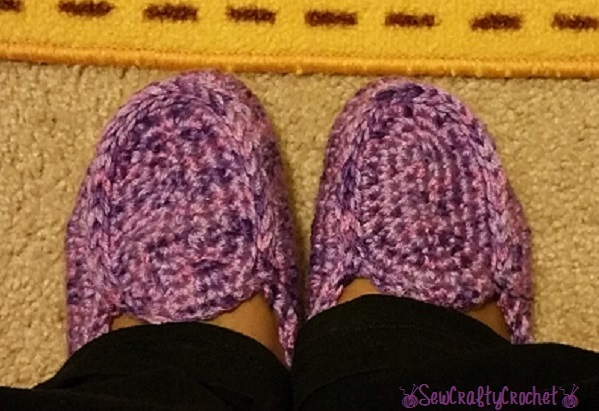 I finally finished the second pair of slippers for my mom's Mother's Day present. Yesterday, my daughter and I went to the post office to mail them off. The post office has a machine where you can weigh your package, pay for postage, and print out the postage sticker. I think it's cool. And there's a really large mail box just for packages. Before mailing the package, I stuffed the slippers with pretty tissue paper, and I wrapped the paper around the slippers. I reused an Amazon box, but I wrapped it in brown paper with pink flowers doodled on it. I think the box looked really pretty, but I tend to go overboard with the tape! 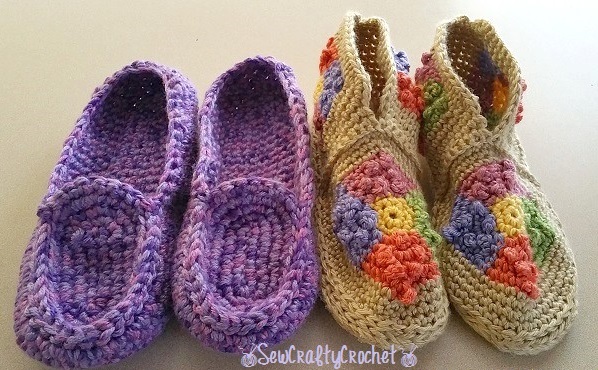 Anyhoo, the slippers are finally done, and on their way across the country. 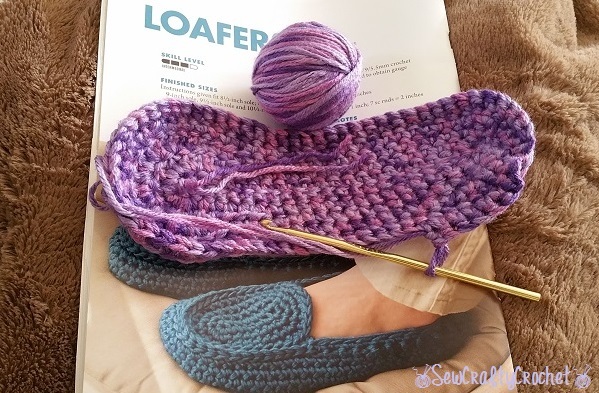 I used a pattern in my Hooked on Crochet: Slippers book to make this pair of crochet loafers... My husband said I need a ball winder. Maybe he'll get me on for Mother's Day. 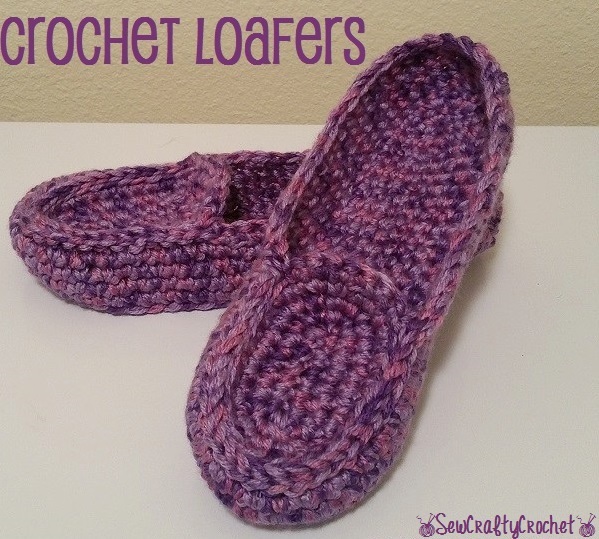 I used two strands of yarn when I crocheted these slippers. I tried on the slippers when I was done. I thought my mother's shoe size was a couple sizes smaller than mine, but after chatting with her about shoes, I discovered that her shoe size is only a half size smaller than mine. The other slippers I made her also fit on my feet, so they should be fine as well. So here are both pairs of slippers. 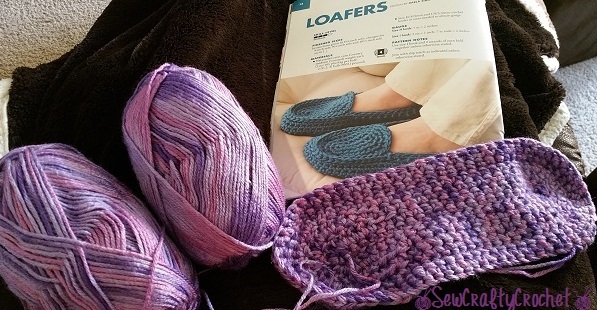 The Granny Square Booties are my favorites, but I also love the Plummy yarn I used for the loafers. I hope my mommy likes them. I also wanted to sew some mug rugs for my mom, but I think I'll wait and make her some patriotic mug rugs this summer. I bought a bundle of red, white, and blue fabrics a few months ago, and it needs to be put to use. I like making things for my mother.